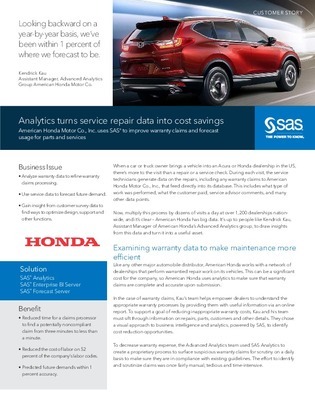 Much like the majority of modern enterprises, Honda has big data. Every vehicle that is taken in for maintenance has its information extracted and sent directly to the Honda database. Now, multiply that process by dozens of visits a day at over 1,200 dealerships nation-wide – that’s big data. So, how does Honda make use of all this data?